In addition to the many existing distributed sensitive points along the meridians of energy that includes the Traditional Chinese Medicine, there are a number of points that are not assigned to any of these meridians, the Extraordinary Points. 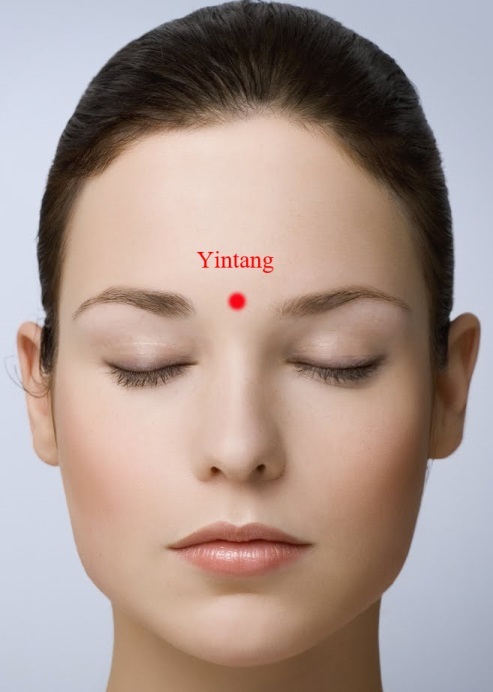 One of the most important is the so called Yin Tang, which is located in the center of the line connecting both eyebrows. According to Taoist philosophy, Tang Yin is the center of the human spirit resides, Shen. For practitioners of Qigong This point is known as the Dan Tian Superior and in Hindu philosophy, as the sixth Chakra or energy vortex. Stimulating this point with a gentle massage in circles, is indicated to relieve migraine and various types of headaches, dizziness, nose problems such as nasal obstruction, rhinorrhea, epistaxis or nosebleed, eye problems, relieves symptoms related to the nervous system such as insomnia, calms the mind, relaxes the spirit and expels Wind.